In 1973, when Trev Deeley was asked to become the exclusive distributor of Harley-Davidson motorcycles in Canada, his business partner Don James was involved from the start. Together, the two men transformed the retail motorcycle business in this country and made Canada one of the top markets for Harley-Davidson in the world. In the beginning, the business sold just a few motorcycles through a handful of dealers. Today the company has 71 authorized retailers with 78 store fronts and the brand dominates the heavy-weight motorcycle market in Canada. The growth of the brand and the retailer network has come about in no small part due to Don’s leadership. His over-riding philosophy is that the strength of the brand is derived from the strength of the dealer network and the passion of those who work in it. Early on, Don and Trev rode their bikes across the country to meet with all the Canadian dealers and find out first-hand what they needed from Deeley to ensure they would be successful. Don was a founding member of the Motorcycle and Moped Industry Council (MMIC) in 1971 and has served as president as well. In 1985 Don was instrumental in bringing the Harley Owners Group to Canada and helping individual retailers set up their own local chapters. The Canadian arm of HOG has grown to encompass 94 chapters and 46,000 members, making its membership the second largest in the world. In 1993, with the retirement of Trev Deeley from the Harley-Davidson board of directors, Don joined the board – and now is the longest-serving member. Don is frequently recognized by the national and local business communities, including being named Canadian business entrepreneur of the year. Deeley Harley-Davidson Canada was recently named one of Canada’s top 100 employers as well as being one of the Financial Post’s 50 best managed companies in Canada every year since 1995. Don, a native of Edmonton, attended the University of Alberta and Simon Fraser University in Burnaby. B.C. He is a graduate of the Harvard University owner-presidents management program and has attended Stanford University and the International Institute for Management Development in Lausanne, Switzerland for executive education. Don was also instrumental in the formation of the Trev Deeley Foundation, established to support various educational and charitable causes, many of them related to motorcycle safety. The Foundation also distributes scholarships to students interested in pursuing careers in motorcycling or furthering their education at the post-secondary level. In addition to supporting other numerous provincial and national charities, the company encourages its retailers to support local charities and community events. In 2007, Deeley Harley-Davidson Canada and the Ontario Police College created the country’s first ever certified police motorcycle operator training program. The company also supports both the Ontario Provincial Police Golden Helmets motorcycle demonstration team and the Vancouver Police drill team. Harley-Davidson motorcycles are the most widely used motorcycle within police forces across the country. Don is especially proud of the Deeley Motorcycle Collection as a way to give back to the motorcycling community. 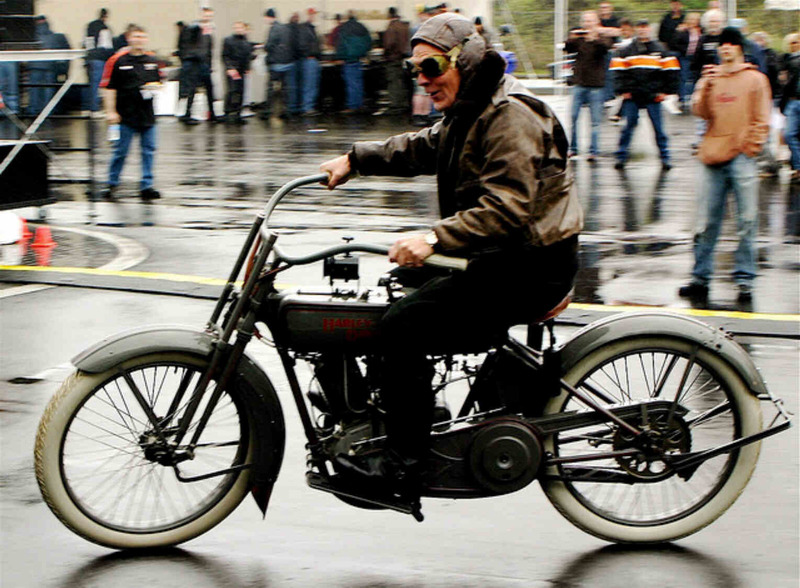 In 1974 the company began assembling a collection of some of the finest antique bikes in North America. It includes 285 motorcycles representing 59 different manufacturers – ranging from the world’s oldest production motorcycle (1894) to the world’s fastest production motorcycle, the MV Agusta F4CC (2007). It shares space with Canada’s oldest Harley-Davidson dealership, Trev Deeley Motorcycles, and is a must-see for anyone near Vancouver. Don has also been involved in promoting the Harley-Davidson and Buell brands in Canada through racing sponsorship and support programs on both dirt and pavement. In 2006 he directed the company to establish and sponsor a new Destroyer drag-bike series within the Canadian Motorcycle Drag Racing Association. In Canadian dirt track racing, Harley-Davidson has been involved in the series since it began 44 years ago and has won the championship some 30 times. In road racing, the company’s involvement in the Canadian Thunder series, which began in 2003, has been incredibly successful. Deeley Racing and the corporate-backed Ruthless Racing Team, both led by his son Darren, have enjoyed a string of successes over the years. 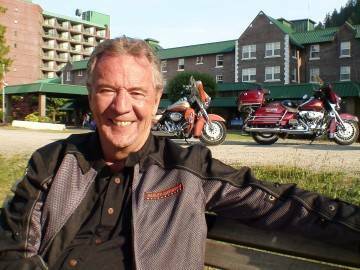 His business acumen combined with a kind, generous nature, love for Canada and passion for motorcycling make Don James a central figure on the Canadian motorcycling scene.